D.NAVARA: I’m not really upset, but of course, I hoped for the better result. However, it happens like this sometimes. By the way, this is not the first match I’ve lost here. But now – yes, it’s a pity for I prepared and even wanted to apply a new idea, but I just didn’t have time to play it, because GM Peter Veniaminovich Svidler avoided my variant and then I just played miserably. I think that the spectators enjoyed the game, because it was very interesting. Nevertheless, I got a worse position and lost it which of course doesn’t make me satisfied. E.SUROV: Are you satisfied with the match in general? There’s no doubt – and Peter has also mentioned that – that you can play better and you could look more confident in the match as well. What do you think of that? D.NAVARA: Yes, recently my play is not very good. I don’t know the reason. Maybe I’m just playing too much and I feel lack of energy? Maybe I’m getting tired quite quickly? I don’t know. This is not the first time that happens to me. I guess I should overstep this crisis, but I don’t know how. E.SUROV: You said you are playing a lot, but where? We don’t actually see you in the tournaments. D.NAVARA: I played 65 games in the first 6 months of this year – that is quite a lot. I’m playing in the Czech League; I’ve played several games in the first Czech League, as well as in the German one. I’ve played in Iceland, at the European Championship, French team Championship, another three games in Poland and something else… I believe I played some other tournament, but I can’t even remember it now. E.SUROV: Yes, that’s quite many. Is this your tenth match, David? E.SUROV: I guess so, maybe it’s the ninth one, we have to check. Remembering all the matches you have played, which one was the most difficult? D.NAVARA: It’s hard to say. I’ve lost several matches, which means they were quite difficult for me. For example, I lost matches against GMs Kramnik, Judit Polgar, Ivanchuk. That was rapid, but still. There were a lot of difficult matches. E.SUROV: Are you happy with the fact that you have such an opportunity to play against famous chess players annually? That’s because not all the players and GMs have such opportunity. D.NAVARA: Basically, I’m glad I have such chance, but I am a bit tired of that. That’s a good opportunity, but I think that I deserve it, as long as I’m not playing for a large amount of money, I’m trying to play interesting games and so on. Not everyone has such opportunity, so I’m thankful to the sponsors and Pavel Matocha for organizing such an event. E.SUROV: So, are you tired of it or you would like to play another match next year? D.NAVARA: I don’t know, time will show. Maybe partly both, but the goals are mixing up. E.SUROV: In the case of playing the match, whom would you like to face? D.NAVARA: I don’t know, I’m not determining that. I occasionally express my opinion, but I can’t influence on that process. That’s not my business. It’s important that the match will be interesting for the spectators, sponsors and others, not for me. E.SUROV: OK. So, name one or several modern GMs whose play is close to you. D.NAVARA: There are a lot of such players. E.SUROV: Well, name the favourites. D.NAVARA: I don’t know, I haven’t thought about that. 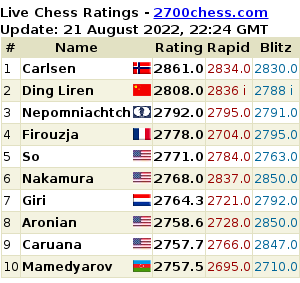 It would be interesting to play against Magnus Carlsen, GM Morozevich, but I think that we aren’t going to see them here in the nearest future. E.SUROV: David, did you follow the World Championship Match? D.NAVARA: Yes, of course, I even made a commentary on two games on one of the Czech websites. D.NAVARA: On Games 10 and 12. E.SUROV: So tell us your impressions on the match. D.NAVARA: The match was interesting for the professional players, but it was somewhat boring for spectators, however, I understand how hard it is to win in this kind of matches. Both players had a very good preparation, so it was really hard to win; and of course none of them wanted to risk. In my opinion both GMs played very strongly. There weren’t any blunders, except only one game, which means it was a high level match. Nevertheless, the Tal Memorial was more interesting. It’s clear that if the participants of the Tal Memorial were playing the same kind of match, they would also be trying to play in a less risky manner. 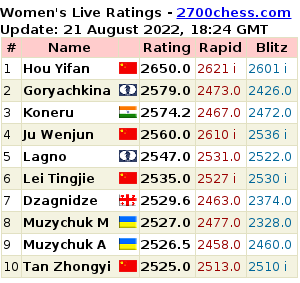 E.SUROV: And still, unlike a lot of GMs you have a long match playing history. Exactly the match playing experience. There’s an opinion that it’s harder to play the match than the tournament. It has its own specificity, needs special preparation. So, from a perspective of an experienced match player, whom would you mark out – Anand or Gelfand? Who was better prepared? Please, characterize them. D.NAVARA: In my view, Gelfand was better prepared, because he managed to neutralize his opponent’s preparation. Basically, Gelfand played very strongly; nevertheless, GM Anand is a very, very strong player. I think, it was fair that the match ended 6-6. And what happened next, I mean Anand’s victory, wasn’t very surprising. However, it could end in a different way. I think both participants were playing very strongly. I don’t know what I should add to this. I would like to note that I’m one of those who have lost the largest number of matches. So I have a very specific experience regarded to that.